Good morning, Rich. 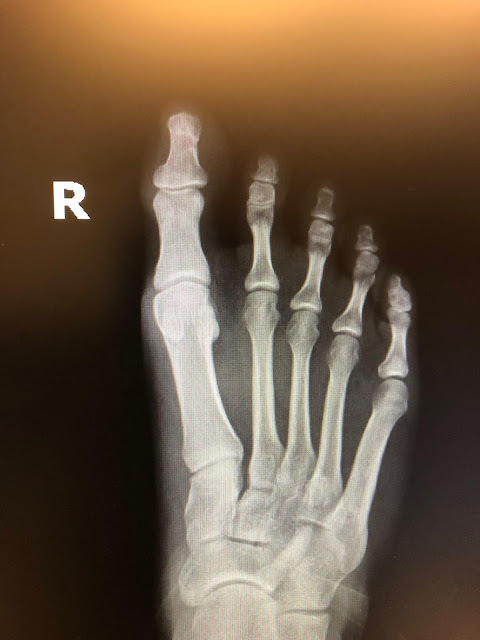 A quick question – regarding “cast fill” – do you generally prescribe the “normal” cast fill on the Root Lab form and find that leads to good patient outcomes? My experience with other labs has been that their standard cast fill, seeking to make the device more “tolerable,” is so much that it significantly compromises the effectiveness of the device for people with excessive pronation issues. That is far and away the most common problem I see with my PT patients who are referred to me because of other injuries, but for which excessive pronation is really the root cause -- e.g., runner’s knee. I often prescribed “minimal” cast fill with other labs and I just wonder what your experience has been with Root lab with whom our practice is now working. Any experience you can impart would be very much appreciated. 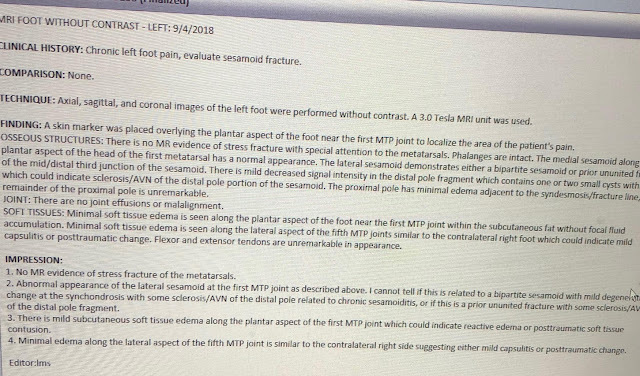 I found an article you had written where the Drs said a girl had broken her sesamoid bone but it ended up being a cyst. I am still waiting to hear from my dr and I am no radiologist, but based on my MRI results, I think I may have the same thing. I am so glad I found your article. Here are my MRI results, any insight? This is my 2nd opinion. The first dr taped me up and told me to go run and let him know how it felt, I quickly sought a 2nd opinion. Both of my Drs did think I broke my bone though. History: Sesamoid bone. Abnormal ultrasound. Cyst. Technique: Right forefoot MRI with and without contrast. Sequences: Axial T2 proton density fat sat, coronal STIR, sagittal T1, coronal T1, sagittal T2 proton density fat-sat and coronal T1 fat sat sequences were obtained. The patient was intravenously injected with 6 ccs of Gadavist contrast and post contrast multiplanar T1 fat sat sequences were obtained and submitted for review. The bone marrow signal: Heterogeneous T1 dark signal with a near serpentine appearance of the fibular sesamoid bone. There is a corresponding increased T2 signal. There is an enhancement with contrast. There are no diastases. There is an adjacent T2 bright signal with enhancement of the surrounding soft tissues. There is a small first MTP joint effusion. The plantar plates are unremarkable. Impression: Nonspecific enhancing T2 bright fibular sesamoid bone signal with surrounding soft tissue enhancing T2 bright signal. Question changes of sesamoiditis, AVN, or an intraosseous mass. moving in the right direction to stop obsessing and focus on healing. until recently. I am a Veterinary Nurse who works 8-10 hour shifts on my feet 4 days a week. in 4 more weeks I was told to come back. I would think about it but not so much so that I pursued further treatment. improve with anti-inflammatories and knew I needed to address this once and for all. I began researching and decided upon sesamoiditis as my new self-diagnosis. appointment with the surgeon himself but they couldn't get me in until October 5th. I attempted some home treatments with varying success that made walking bearable. During this time I also started developing issues with my other foot (right foot). of a doctor I tried calling another clinic. helpful but it wouldn't change his course of action so it is just an additional expense. appointment with the orthopedic surgeon on Oct 5th as well. to help me develop a treatment plan that can aid my current doctors in treating me. different if I have sesamoiditis vs. a sesamoid fracture? any tips for finding a physical therapist who is familiar with this condition? there by calling and find out who deals with the rehab of foot fractures the best. achilles stretches, metatarsal doming, posterior tibial and peroneus longus theraband work. 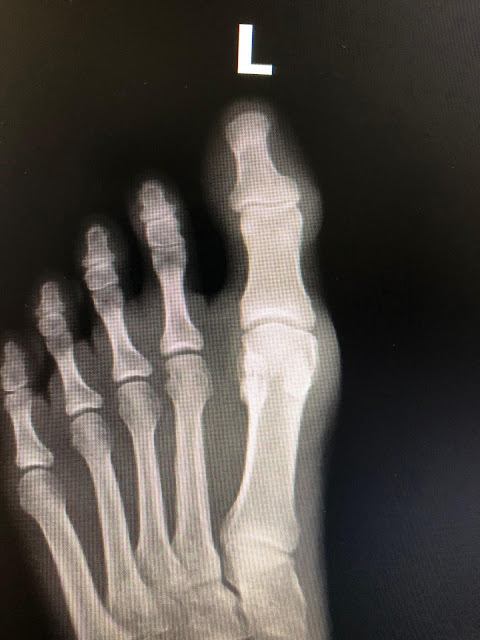 - How can I decide if the boot is properly placed to help the fracture (should it be one)? how can I make sure the padding is right other than by feeling/trail and error? the sore area, put the foot in the boot and tighten and walk down the hallway a few times. in the other foot if I'm not doing any impact exercising? Dr. Blake's comment: Most likely strain from placing too much pressure on the other side. can make you start breaking things. just a tendonitis issue what do you suggest for treating this? 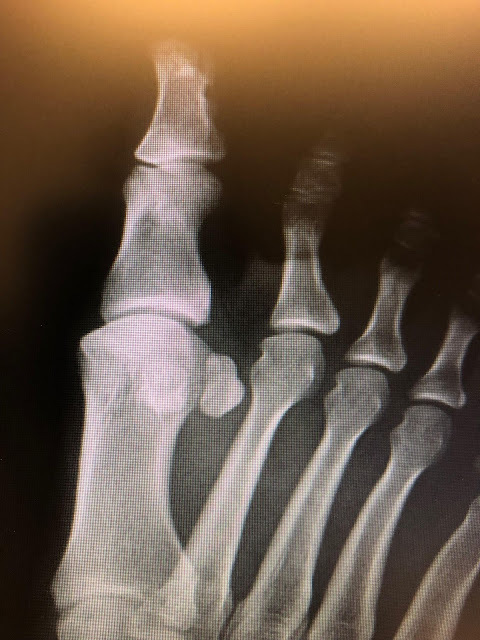 be good with a sesamoid fracture. - Do you have any suggestions for doctors in North Carolina who you know have had experience/success with this issue? Dr. Blake's comment: I am only acquaintance with Dr. Milch in Asheville, and Dr. Thank you so much for your time and dedication to this issue. This is the original post back in March 2018 when the patient contacted me. I referred her eventually to Dr. Matt Werd in Florida. I wanted to share with you a follow up on my progress with physical therapy. I am seeing Dr. Werd and he was very helpful in prescribing PT. Not only that but of all the doctors I have seen for this condition (4 so far), he has by far spent the most time with me analyzing my symptoms and going over the diagnostics and various alternatives. I had 5 months of PT. I was very blessed in finding an experienced therapist. I can tell you that it was not easy. It was sometimes painful and discouraging. However, I stuck with it daily, sometimes an hour or more of exercises every day. I had a couple of setbacks but am so thrilled with the results now. I am walking without pain, have full range of motion and full strength. I can easily do 50 single foot heel rises! Although it wasn't easy, I can also say that it was much easier for me to do PT than the alternative of surgery (with the post-op of being non-weight bearing, on painkillers all while trying to take care of my children.) I would have done surgery if absolutely needed but was so glad to have an alternative. I'm so thankful to God to lead me to this path. Thank you so much for your help along the way! P.S. 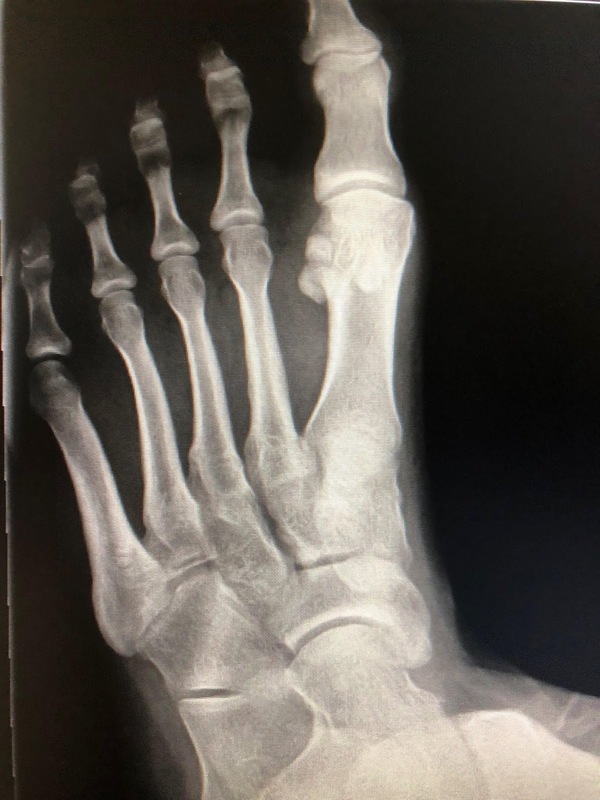 Do you have any advice for me how to keep my foot healthy (exercises to do? any to avoid?) Dr. Blake's comment: This is your weak spot, but over the next year you will get it stronger and stronger. I pray that you are doing the posterior tibial theraband work level 6 2 sets of 25. Did you go through them? If you did, you need to do twice weekly to maintain the strength and make sure the tendon stays strong. Focus on activities until April that you can do with orthotics like hiking. I would wait another year before starting a walk-run program. Modified Yoga with orthotics on would be wonderful. I hope this gives some direction. You want to keep it strong forever so it will have minimal effects on your overall life. I am very glad to say that searching on the Internet trying to find information about the problem I have I came across your blog. Thank God you have opened my eyes and gave me a better understanding of what I'm about to do. I am about to have cheilectomy in my right big toe because I have developed a spur, which annoys me a lot when jogging. This is what my doctor here in Athens, Greece has suggested to me. 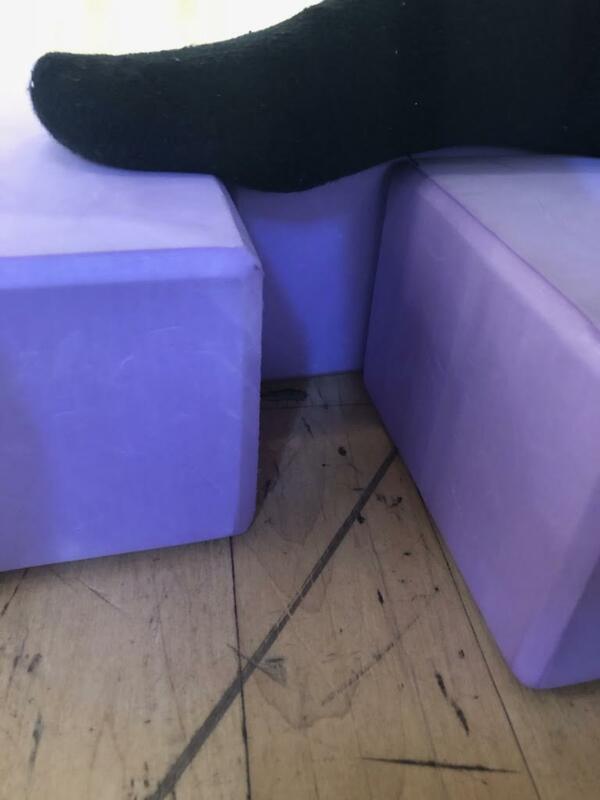 I am wondering if the simple movements on self-mobilization you are proposing for the big toe joint in your videos, might help and alleviate me from the burden of having the surgery. PS. My wife and I have been to Athens, Mykonos, Delos, Paros, Naxos, and Santorini. Can not wait to go back in a couple of years. We want to see Crete and Rhodes for sure. Beautiful area. Podiatrist suggested 9 laser treatments on the bottom/side of the pinky toe (not the neuroma since this wasn't diagnosed at the time). All 9 were performed by 2 physical therapists and no long-term relief was evident. Podiatrist performed an ultrasound and diagnosed me with Morton's Neuroma. Found interesting since the pain I was experience was not where the 2 neuromas were located. I did not have the typical symptoms listed for MN at that time and the diagnosis didn't match MRI...but he convinced me this was causing my issue. 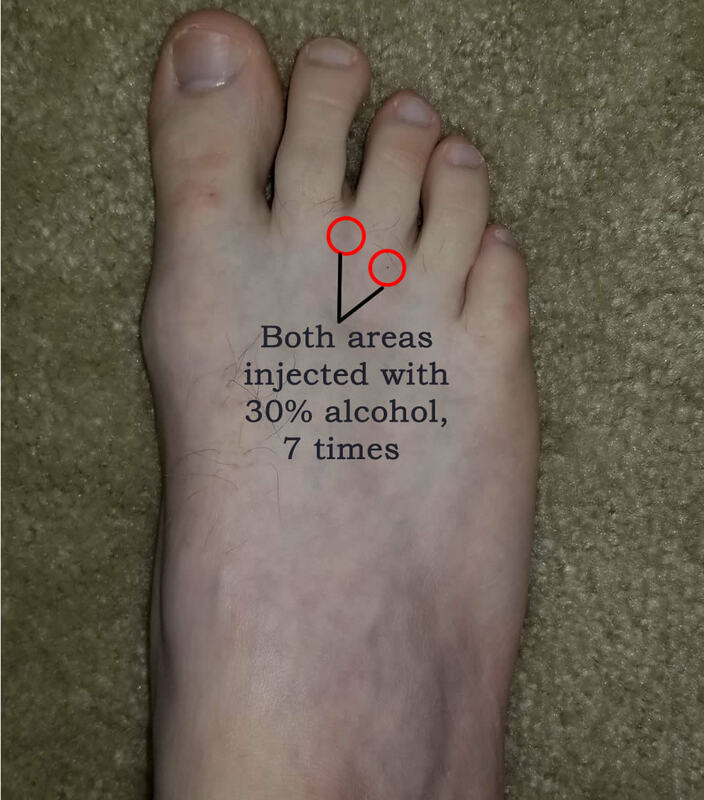 Podiatrist suggested 7 ultrasound guided alcohol injections on my right foot. (30% in both neuromas per session). The 1st shot had horrible side effects: increased pain, numbness, tingling. Caused common symptoms of Morton's Neuroma, which I hadn't experienced prior. 2nd shot provided relief to some of those symptoms. Started noticed an improvement in injection 4/5. Feeling optimistic! Injection 7 was now 7 weeks ago. The pain came back both in my pinky and neuroma. There was visible external bruising after this injection which has subsided but I'm still in pain. Dr. Blake's comment: The initial reaction is unfortunate, but probably one in 5-6 patients, and always resolves. The series should stop at five to rest the tissue. Not sure why you kept going. Actually, from your explanation, many neuromas never hurt ever, so why wake up a sleeping dog? Prior to injections, I did not have any typical Morton's Neuroma symptoms (no burning, tingling, etc.) But now I do, in addition to my chronic toe pain. After injection 7, my right foot now physically looks/feels swollen underneath my toes. I'm not sure if this is the neuroma, pools of alcohol from the shot, or hematoma. Dr. Blake's comment: I hope you are in a removable boot to rest the tissue for the next month. Sometimes 5 minutes of ice frequently is best, and sometimes several warm water soaks of 30 minutes each twice daily is very smoothly. The MRI taken should tell you if the swelling is anything to worry about, but swelling from pain is normal with this type of problem. It is telling you to quit irritating me!! I got a new MRI. And my podiatrist says it looks like one neuroma shrink over 50% and the other is marginal compared to the other...But again, I'm not in more pain since starting the injections. I've had pain every day of my life for almost 2 years. I thought these alcohol injections were going to be the answer but now things are worse. Dr. Blake's comment: Definitely get the MRI report to read. You can send me the report because you need to know if there is anything else to be concerned about. Probably not. This pain should cool down over the next month if you do not keep irritating. Do you know the alcohol percentage used? I just do not think from what you say you are treating the right thing. I am not saying to switch either yet. Please wait the next month, go in a boot. Try to topically cool it down with ice or soaks. I've attached an image of my current pain/discomfort. The skin is still sensitive in that area when touched. My podiatrist has presented some alternative "plan B" options (laser treatments on the neuroma or stem cell, amnion-chorion membrane injection) but these are not covered by insurance, costly, and I'm afraid it would only provide short-term relief if any. Based on my MN support groups - most people said this was a waste. Please share any thoughts and suggestions you have regarding my case. 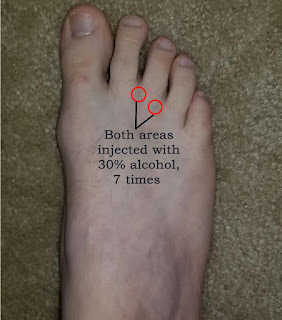 I was told they were 30% alcohol sclerosing injections with the intent to shrink the neuromas. I was given 2 injections in my right foot for each of the 7 sessions. I have attached images of the injection areas. As you will see, this was not near my original source of pain (pinky toe). Dr. Blake's comment: This is a lot of irritation. The highest percentage that I have gone is 20%, which is what I have found podiatrists in the UK are using. Plus, giving it in 2 places at once is more chance of irritation. This may be fine, but no more shots, especially since it was done for MRI findings, and possibly not for the reason you needed to be treated. I kept going with the injections because my doctor suggested all 7 for my case. I felt maybe 80% relief after the 5th injection so it made sense to continue on my doc's advice thinking it would get me to 100% relief instead of reversing and causing more/new pain. Dr. Blake's comment: With any injection series, and probably for most treatment protocols, you try to get the patient to 80% better, with the remaining 20% allowed to father time. "Many neuromas never hurt ever, so why wake up a sleeping dog?" - Only because my doctor believed the MN diagnosis was the cause of my chronic pinky pain. Dr. Blake's comment: If you give a 5-hour lasting local anesthetic into the neuromas first, and for that 5 hours the pain in the pinky toe disappeared, then addressing the neuromas in some way would make sense. If my chronic wasn't wasn't from MN - what else could have been causing it? Perhaps RSD/CRPS? 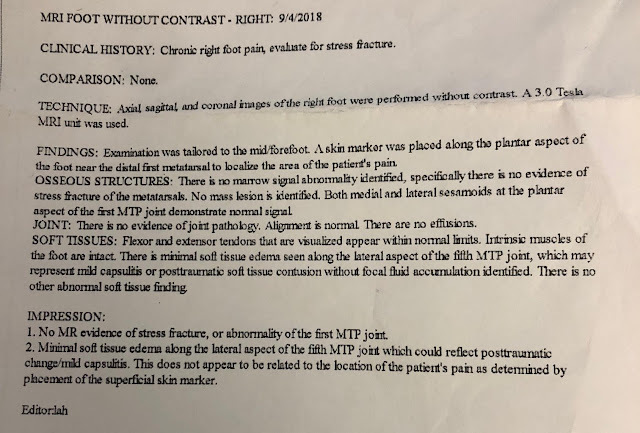 Dr. Blake's comment: When you stub your toe, and then have chronic pain and negative xrays and MRIs, you may have some version of CRPS although the injury could just be missed in the films due to its superficial location. Besides the laser treatments by the PTs, you really have not had a thoughtful approach to where you hurt. Once the pain goes away from all these shots, you may have to investigate various options like joint mobilization, ultrasound as a treatment, acupuncture, off weight-bearing padding. Just sending me a photo of what types of padding minimize your symptoms would be a good start. Dr. Blake's comment: In December, as long as you have had no more shots, a new MRI will be done if some of the injection pain lingers. No one has recommended a removable boot until this post. Happy to give that a try. Is there a specific brand/model you would recommend? Dr. Blake's comment: yes, anklizer by Bird and Cronin is a good one or the short style (just going above your ankle) by Aircast. Is this something my doc could Rx and be covered by insurance, or am I better off just buying on my own online? Dr. Blake's comment: Your doctor's office will know. They are around $60-70 self-pay. I've tried both hot Epsom salt baths and ice without luck... In the past the bath would make the sensation further "radiate" and the medical ice pack would cause a "burning" sensation. But if you suggest one over the other I can try to do that more consistently. Dr. Blake's comment: We have to assume you may have an internal burn. The general rule is no ice on a burn, so some warm compresses are probably best. Try a warm slightly damp facecloth on the area when you sit and wrap saran wrap around for 30 minutes at a time. The saran wrap allows the heat and circulation to get deeper. Whatever you do, you should at least immediately feel better. Dr. Blake's comment: I am not sure which ones. Can you have a disc burned and sent to me at Dr. Rich Blake, 900 Hyde Street, San Francisco, Ca, 94109? Any screenshots as photo images are fine also. "The MRI shows only mild residual neuroma remnants following the injections. No other major boney or soft tissue pathology. Dr. Blake's comment: Hooray!!! Findings body of the report. We noted a 14.0 mm ovoid hypoechoic ill-defined nodular density seen on sagittal view in the right 2nd interspace. And also a 6.9 mm ovoid hypoechoic ill-defined nodular density is seen on sagittal view in the right 3rd interspace. No evidence of bursitis, capsulitis, or plantar plate tear in the right 1st, 2nd, 3rd, 4th, or 5th MTPJ's." I was Rx a couple of different topical anti-inflammatory cream. I was told to use these simultaneously but they failed to provide relief. Dr. Blake's comment: Makes sense, your pain is nerve pain, get one for nerve pain and also try Neuro-Eze. I have not tried or heard of "Hapad or Dr. Jills products" . Which would you recommend for my case? Dr. Blake's comment: Both companies sell online. 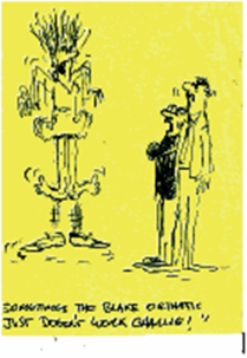 You could ask the podiatrist which one offloads the area best. I would try a small longitudinal medial arch Hapad support as a metatarsal support. But we have these right in the office. I haven't heard of neural flossing. I found an older blog of yours with a video. Is this what you recommend I do in my situation, or is there another type of neural flossing suggested for MN? Yes!! What are your thoughts on Dr. Blake's comment: I think acupuncture right now makes sense as long they do not stick the sore area. You have a nerve problem, and acupuncture addresses that. I rather not seek any other type of treatment if you think I simply need more time to heal...but my doc said my symptoms should have resolved 4-6 after the last injection and it's now been 7. Maybe the boot would have helped but I've been fairly inactive during this time. Dr. Blake's comment: You can not use time, because everyone is different. That being said, get in a boot, start treating the nerve pain without increasing pain, be nice to yourself, see how you are in 3 weeks. I want a report. Thanks for your last 2 e-mail. I hope you had a great time in Spain! Here's an update on my situation. Questions in bold. Feeling extremely optimistic after using the Neuropathy Pain Relief Cream + Aircast Boot for 3 days in a row. Substantially felt better. I was convinced this was going to solve my pain! Tried 4 acupuncture sessions...Wasn't sure if it was helping at all but wasn't hurting. Maybe helped with the improvement. Days later, the pain came back, and on strong. I had some extra pressure on my feet, carrying my 6-month-old in her car-seat for maybe 15 minutes...Nothing too intense but could something this simple make my pain that much worse? Dr. Blake's comment: Leaning forward with weight can be hard on the nerves coming off your back. Over the next few days, the pain got worse, got a bit better, and then worse again. Dr. Blake's comment: Probably should be 3 days in the boot, 3 days out, alternating if the boot consistently helps. I went to an orthopedic surgeon to get another opinion... the trip was a waste. He didn't have any answers/explanations for me. Suggested a CT scan to see if it gives us more info. Do you think this is necessary? - Anything else it may show? Dr. Blake's comment: CT Scan shows only bone, so not sure if he was just grasping at straws. Maybe he saw something in the xray. He inserted a Metatarsal Bar below the pain area to take pressure off...Pain has been worse since.Dr. Blake's comment: I rarely ever use those, since they are difficult to place, and may put to much pressure no the metatarsals. I've had pain during my last 2 acupuncture sessions (This past Tues and Thurs)...Treatment didn't seem to resolve. How many sessions should I try in total before I stop? Dr. Blake's comment: Typically, 3 sessions of acupuncture and you know if it is going to help. I've continued to use the pain relief cream + the boot with no luck. I just tried Neuro-Eze for the first time today and did not receive any relief from it. I've tried Neural Flossing along with watching your video every time. This usually (but not always) provides at least some short-term relief. But I'm less focused on temporarily relieving pain and more focused on figuring out what I need to do to prevent the pain from coming back at all! You provided a number of great suggestions in your last e-mail. What type of doctor should I see to explore these options with? Dr. Blake's comment: Typically a podiatrist should be the primary with referrals to pain consultants if nerves are to be treated. We need to have nerve treatment to calm the nerves down. Probably need some oral med and better topicals. I've tried Lyrica - It provided very minimal relief with many negative side effects...Not worth it. I have a home TENS unit - do you suggest I try that? If so, where should I place the pad(s)?Dr. Blake's comment: You need a PT to help you with application and intensity. Based on my most recent MRI, are we sure the doc didn't "wake the sleeping dogs (neuromas)" from the injections? Dr. Blake's comment: For the reader's sake, this patient sent me the MRI and no sign of damage was seen!! But alcohol is a destructive agent, so we are probably dealing with a deep burn, but it should get better, or surgery to explore the area, remove the nerve (permanent anesthesia), and hope for the best. I am not recommending at this time, but it is an option. Can this resolve itself on its own with time? If so, when should I expect to see progress? I developed bilateral peroneal tendinitis from overuse earlier this year (lots of walking). Despite a reduction in sports and addition of light physical therapy, the tendinopathy slowly worsened to the point where I couldn't walk without significant pain. This happened over several months. The pain was mostly behind my lateral ankles, sometimes extending up into my calves. I finally took off a couple of weeks from work, saw a podiatrist, and was referred to physical therapy for more aggressive treatment, including mobility and functional exercises, stretches, and ASTYM. During this time I was able to start walking every other day with only mild pain on rest days. I'm not sure if the PT was helping, but the rest days definitely were. On my first day back at work I had soreness in my feet and intense pain behind my left lateral malleolus that night, which had never happened before (typically I had no pain when in bed). The next two days at work were similar, though not quite as bad. I then took off another week and was recovered on my first day off, followed by having no pain at all when I returned to work days later. However, I relapsed after a few days. 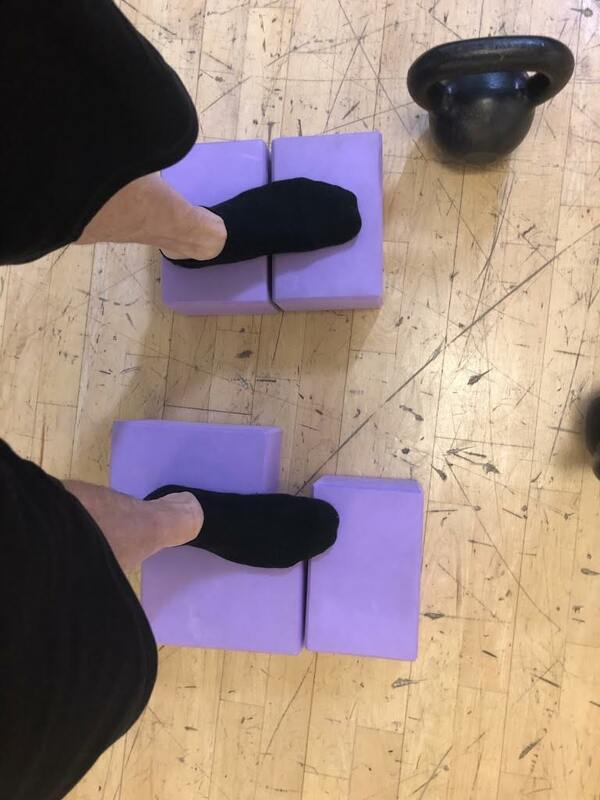 I was still performing my physical therapy exercises and increased my previously band-assisted heel raises to bodyweight. This had aggravated my tendons before, and I think this was what precipitated the relapse. By the end of every day, I was incredibly sore in my lower legs and feet and had trouble performing ADLs (activities of daily living) at home. I could barely rest and recover on weekends for each following week. I continued to work for another month with minimal walking (less than a mile/day total) and standing. During this time I started developing early PTTD (posterior tibial tendon dysfunction) in my right foot, probably from compensating for peroneal pain by overpronating. Finally, I took a full month off work. Most of the pain subsided within a few days. I gradually started resistance band inversion/eversion exercises every other day with some walking and seated heel raises. I've been off for three weeks now. My lateral ankles have been feeling pretty good, but my right posterior tibialis is now limiting me. It seems to get easily irritated by very short walks or from standing. Custom orthotics are uncomfortable and seem to provide too much support, which stresses my peroneals. I'm also still getting dull aches/soreness in my ankles and lower legs following any physical therapy exercise. I'm not sure if this is from becoming weak from minimal walking, or some kind of sensitization? I'll be following up with my podiatrist next week and will also see an orthopedic surgeon for a second opinion later in the month. Until then I'm really not sure of the best course of action in terms of rest and strengthening. Thank you for reading! It's been over 6 months since this all started, and writing this out is somewhat cathartic. It takes a lot to stave off a feeling of complete hopelessness. Dr. Blake's comment: Please do not lose hope as the universe is not picking on you. This is an all too common scenario of injury, inadequate rehabilitation, progressive weakness with new pains developing, and improper timing of events. First of all, I am going to any pain like the PTTD that is not along the course of the peroneal tendons is just compensation and will get better. What do you do at work? Is there something that forces you to use the outside of your foot a lot (called supination)? Rest for weeks and months does not normally help unless you are using the time off work to get the 5 treatments below accomplished. Any tendinitis has to be treated concurrently with 5 treatments. The mnemonic is BRISS--biomechanics, rest or activity modification, ice or anti-inflammatory, strengthen, and stretch or flexibility work. For the peroneal tendons, the number one biomechanical task is to control supination (movement to the outside), and number two is to overall stabilize the ankle with braces, boots, taping, high top boots. There are a lot of options in getting achieve this stability. From the sound of things, you have to get in an orthotic that is stable and does not supinate you. 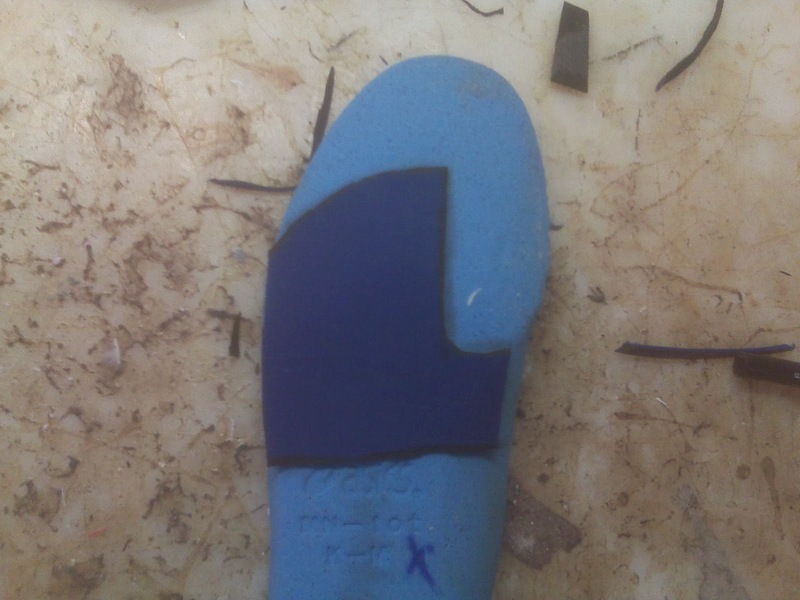 You can find my video of orthotic modifications for the supinator, although I am not sure you supinate normally or only with high arched orthotics. But, you can not get better if you supinate. Rest is activity modification since rest in general in these cases can really work against us in allowing weakness, nerve sensitivities, and tightness to settle in. You have to keep your body strong if you have to limit walking to elliptical, swimming, cycling, floor programs. This is even if you have to do it with tape, orthotics, braces, or boots. Typically straight rest is a killer if you get my point. We are trying to get the pain down to consistent 0-2 while we slowly increase activities, and gradually get stronger. The sad fact is one day off normal activities, especially physical activities at work, after one month can take 2 days to regain that strength. Ice or anti-inflammatory is to be used after activities if you flare them up, but physical therapists have a lot of tricks to cool tissues down, as do acupuncturists. Oral NSAIDS like Advil are used after workouts not before to allow you to workout. Strengthen is key. You want some activities to mimic work related, most functional, but also isolate the peroneal tendons. My blog has peroneal tendon theraband exercises to isolate the peroneus brevis vs longus, since one may be more involved. Stretch is achilles mainly. The achilles, when tight, is a powerful supinator as you lift your heel. You have to check with the physical therapist or podiatrist to see if you are tight, but I would start doing normal achilles stretches three times a day. I hope this helps. You have your work cut out for you, but you seem to respond to things well and should get over this. Keep strong, but do not push through the pain.